Today we finally got to go hunting for the first time since the end of spring. As usual we went to the FMR. 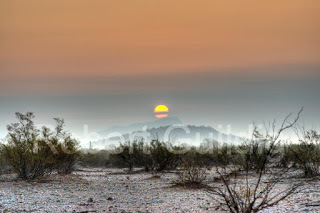 When we arrive there was a light fog over the desert. This is the third year in a row that we came out here in November and there was fog. The sun was rising from behind a mountain and the fog was thick enough you could look at the sun with out any protection. 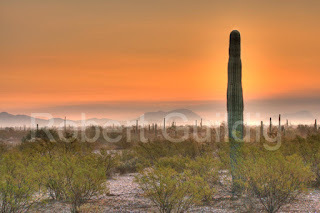 I took several pictures, one of which was good enough to submit to dreamstime. There were a lot of ATV riders (fleas) camped out in the area, we found a place away from them and I took some more pics, 2 of which I submitted to dreamstime. Chris went off to make a happy bush sad, at that time he flushed a Jackrabbit. 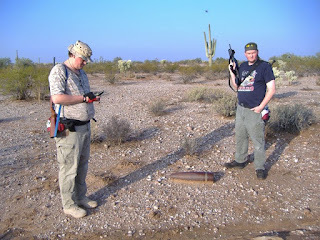 The only one of us that had a firearm ready was me, I attempted to shoot it with my .357 pistol but it was too far away. We set out in a north westerly direction. I got a jackrabbit about 15 or 20 minutes into our walk. I saw another one about 15 or 20 minutes after that but it was too far away. we walked a total of about 2 miles each round trip. When we got back near the car we found this. I'm curious how it might have got here as we were nowhere near the impact area. We took a break and then went in a south easterly direction. Mike got a cottontail just minutes into the walk, and I got one shortly after that. We got out about a half a mile but there were so many "fleas" we turned back. I walked about 3 miles, Chris about 3, Mike walked about 4. 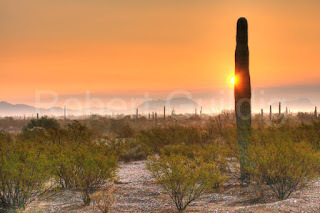 Generally I don't like the desert, but in the winter and early spring it is one of my favorite places to go. When it is really foggy it can be a little spooky, since you sometimes can't see more than 50 yards in any direction, everything is totally quiet (except for the water dripping off the plants). When something does break and run it can be quite startling. It is also challenging as you have a very short time to react before the rabbit disappears in to the fog. It is an experience I will never forget. Tasting Notes: A bit more savory than the cob-smoked offering from this producer, but same thick cut. This is a precocious little bacon that will surprise you with its moxy and flair. Like "Newsom's Old Mill Store Hickory Smoked Country Bacon" this bacon has a strong but pleasant smoky taste, and is not at all salty. It is very savory, with a bit of a tang to it. This bacon has more water in it than the other bacons, but not a lot. The package states that it is cured with maple syrup, and while it does taste slightly sweet, it does not taste like maple syrup. I detect a note of creosote (but in a good way). Ham flavors are prevalent but not overpowering. The fat on this bacon is where the flavor lies. This bacon tends to curl a bit while cooking. This is comfort bacon. Once again I was let down, I misunderstood what the label on this last bacon "Nodine's Smokehouse Double Smoked Bacon" mean't. Tasting Notes: Our only double-smoked style. Intense smoky flavors. Delicious with omelettes, chilaquiles, and huevos rancheros. I guess they got a different bacon than I did. This bacon gets it's double smoke name from the fact that it is smoked once with hickory, and then again with juniper berries. Whatever the case this bacon had little smoke flavor, and was not salty. Nothing to write home about. Tasting Notes: Brown-sugar cured, with a mysterious secret recipe that includes red pepper and cinnamon. Thick cut. Meaty, complex flavors. Juicy. Great intensity with a slight spice. Fantastic! This was a thick cut bacon, but for some reason it looks like the slab was cut in half as the pieces were shorter than the others. This bacon had much more fat than the other ones, as a result it curled the most out of all of the bacon's I have tried so far. This bacon is a bit on the salty side, and it has a taste I would describe as kind of sour. I could taste nothing of the red pepper and cinnamon. This could be because I eat some pretty spicy food and would not notice it. My wife however does not like spicy foods and did not report it as being spicy. As I said before this bacon had the most fat of any of the bacon's, in fact a couple of pieces were about 95% fat. This bacon had a light but pleasing amount of smokiness about it. The sour taste I mentioned above reminded me of "Farmer John Ends & Pieces", which this bacon taste almost exactly like. Once again there was very little if any sweet taste about this bacon. The bacon was definitely juicy. An OK bacon. The verdict is in on "Dan Philips Special Brown Sugar Hickory Smoked Country Bacon" it is too salty and not hickory flavored enough. Sweet aroma, thin and crunchy. Perfect balance like a fine cut diamond. Sweet and powerful, almost fruity. Addictive, soft, lush, judicious use of fat and sublimely balanced. AWESOME and hedonistic. Very unique, sweet, yet savory bacon. Kids love all bacon, but they will especially love this bacon made by J. Samuel Whiting Meats in Pennsylvania. I find this description interesting as it does not exactly describe this bacon. The Bacon I got was wide, and very thick. On the label it said it was cured with maple syrup and brown sugar, as well as hickory smoked. I found it had practically no hickory flavor or smell at all. I believe that when the bacon was being made a truck load of hickory wood drove by, but that was about the closest this comes to being hickory smoked. It is definitely sweet, but not too much. This bacon taste more like ham than any of the others. The bacon was tender and not at all salty. When they say that Kids will love this bacon they would be correct. This is not a bacon for the adult palate, unless your "milk toast". I could not detect any flavor reminiscent of maple syrup in this bacon. The bacon does have a sweet smell when cooking, there is a bit more fat on this bacon, and it did curl more than the others, but by "curl" I mean it barely curled. This bacon is on par with what is available in your local grocery store. Final verdict... Meh! Sunday I cooked up a slice of the "Newsom's Old Mill Store Hickory Smoked Country Bacon" for Chris who promptly swooned under it's influence. He even went so far as to try and lock me in my shed so as to get the rest of the bacon. I served the rest as a desert after dinner to several members of my family. all who tried it liked it (yes some people refused to try it). This morning I cooked up a batch of "Dan Philips Special Brown Sugar Hickory Smoked Country Bacon". My initial reaction was one of a let down. I may have over cooked it a little, and mixed with eggs and toast, didn't allow the full flavor to come through.. Kathi reported it wasn't her favorite, and tasted sour. I thought it was very salty. However just a few minutes ago I cooked up a small batch for tasting purposes. This bacon is not as heavily smoked as the previous review, but it is definitely more smoked than your run-o-the mill bacon. one thing I have noticed with these Bacon's (so far) is that when cooked they shrink but they do not curl. Thus making for even cooking. anyways... This bacon has a nice smoked flavor, the ham flavor is more apparent then the previous bacon. The bacon is sweeter than the previous but I would not be able to identify the sweetness as coming from brown sugar. The bacon is salty and the saltiness varies with the width of the bacon. The narrow sections of the bacon are very salty and the wider ends are more sweat. This bacon is slightly more chewy than the first one. Personally I would expect a bacon with the words "Brown Sugar" to have a prevalent brown sugar/molasses taste which it does not. At times the hickory flavor explodes from the bacon and other times it is not as strong. All in all a good bacon. I received the Bacon in 2 days, it came in a silver pouch made of padded bubble wrap and a single Ice pack. I was a little worried as it arrived at room temerature, a quick email to The grateful palate confirmed what I pretty much knew. Since the bacon is cured and smoked it would be fine. The First bacon I tried was "Newsom's Old Mill Store Hickory Smoked Country Bacon". "Tasting Notes: Sweet, salty, lovely, delicate powerful like an iron fist in a velvet glove, the kind of bacon to write odes and sonnets about. Silk, silk, silk. Like a virgin bacon eater, touched for the very first time. Life begins with Newsome's bacon." At the time I tried this bacon I did not know which one it was (no label), I had to contact the The Grateful Palate to get a list of what I ordered. Upon opening the package the smell of hickory smoke wafted over me, encircling me like an anaconda ready to constrict. I cooked the bacon as recommended, on low heat in a frying pan. The hickory smoke smell was absolutely intoxicating. I am a big fan of smoked meats and barbecue (I have a smoker), so I knew I would be in for a treat. The bacon wasn't as wide as most bacon and cut to about 1/8 inch thick. I noticed that unlike cheap bacon there was no buildup of water on the uncooked side of the bacon, as a result when the bacon was turned over it did not splatter and throw grease everywhere. The bacon cooked up golden brown. I took my first bite and was nearly overcome with a feeling of pure smoked bacon ecstasy (I think I saw God), each bite invoked an image of camping. The smoke flavor was very strong, the bacon was salty and tender, with just a hint of creosote (not always a bad thing). I detected only a slight hint of sweetness. The smoke flavor lingered for a long time after eating it. WOW, I can never go back to the cheap stuff again. Back in October Kathi and I were going to take a weeks vacation at Woods Canyon Lake. Due to her Mothers illness, that didn't happen (I'm not bitter). In preparation for this, (among other things) Kathi bought a state fishing license, so she could try fishing, and help me catch some crayfish, (must have a state license for this) on the trip we didn't take (I'm not bitter). Now that summer is FINALLY coming to an end. We have had a couple of weekends that were rather cool. The first weekend we went out Kathi (who hasn't fished in almost 20 years) in her excitement at getting a bite, either nearly ripped the fishes lips off, or (if she had hooked one) would have launched it across the park. So needless to say (though she got some bites) she did not succeed in her efforts to land a fish. On that Trip I caught 3 Carp. I do not remember if Chris caught anything. 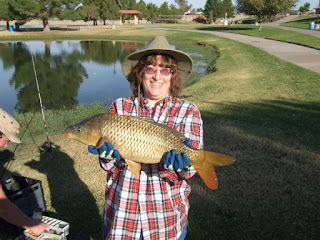 The next trip was not much better, I think I caught one, and Kathi caught none. I think Chris caught one. 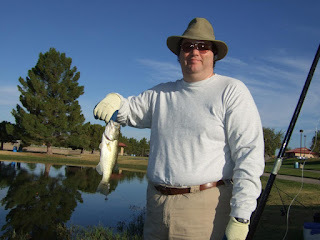 On this trip I caught a small Bass using a rattle trap (on my second cast) which I released. Kathi insisted on taking my picture with it. and she released it (again making a weird scream). We stayed for about another hour, we would have stayed longer but it started getting hot. No one else caught anything.